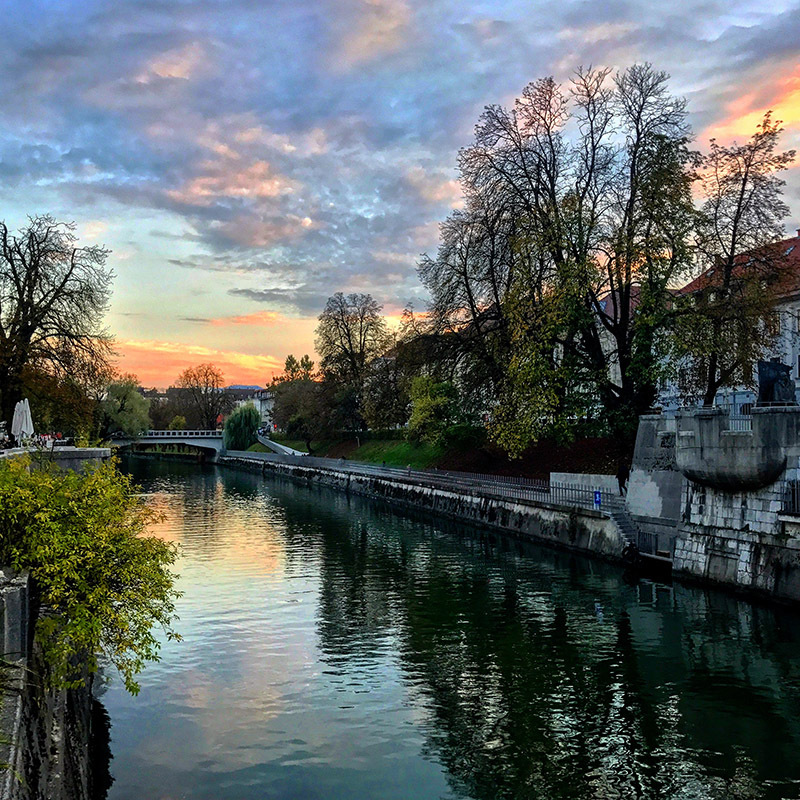 Slovenia travel photos — Hey Brian? 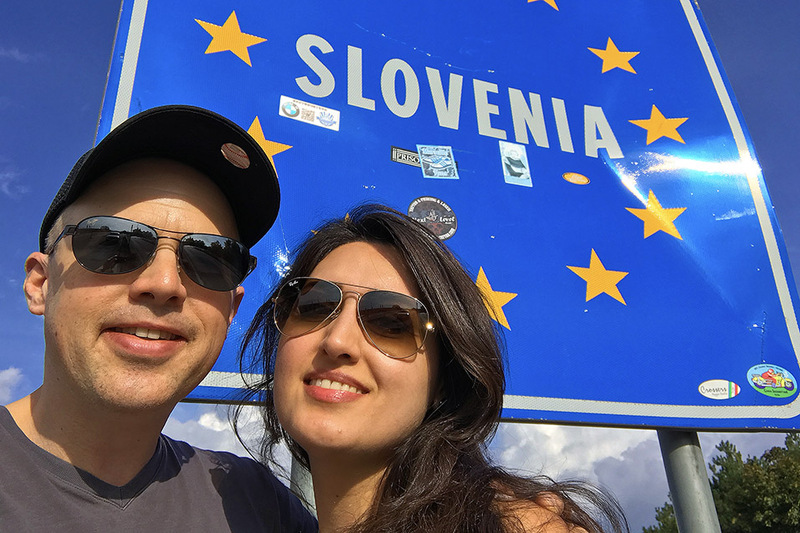 Ljubljana — We enter Slovenia and pull over and snap a pic in front of a sign welcoming us. We drive to Ljubljana and get lost minutes from the hotel because of public works construction all over the place. It is like a maze trying to navigate around the construction to the hotel. I have to back up and turn around a lot and ironically pass the United States embassy several times. On my last approach I notice security is taking an acute interest in my driving activity. I say "Don't worry, I'm American" as I drive by but they can't hear me, instead the are glutching their guns a bit tighter. We finally find the Urban Hotel. After unloading, I do some complicated navigation again to find parking; I have to do some trailblazing through a park and pass some runners to bypass the construction. I finally park, head back to the hotel and meet Zara. We walk downtown, next to the river, and enjoy a colorful sunset stroll. As Yelp doesn't work in Slovenia, we consult Trip Advisor and find low-key yet heavy-hitting Luda on a side steet. Luckily Luda has walk-in availability, a rarity, I'm told. The menu is simple yet sophisticated and we share two 4-course meals, one meat and one vegetarian. We walk home after dinner and pass the Zara clothes shop. We sanp some pics. Boom boom. 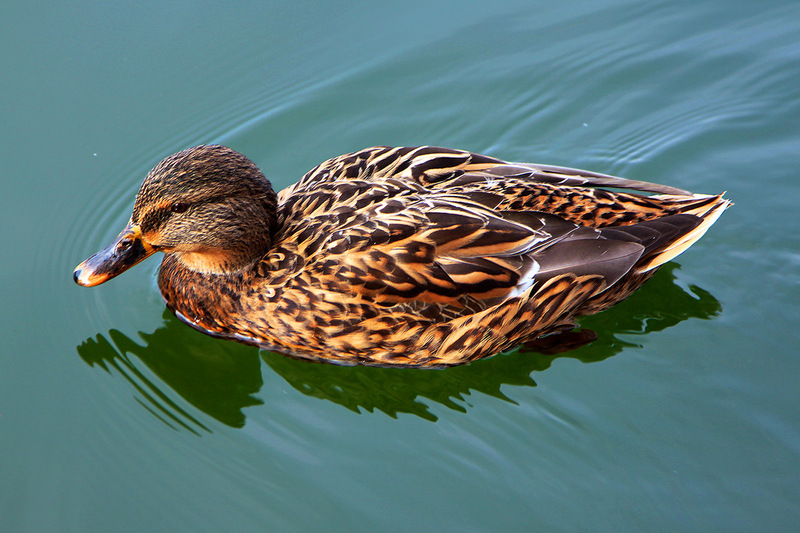 Cortina d'Ampezzo — After a simple breakfast at the hotel we explore downtown Ljubljana on foot. 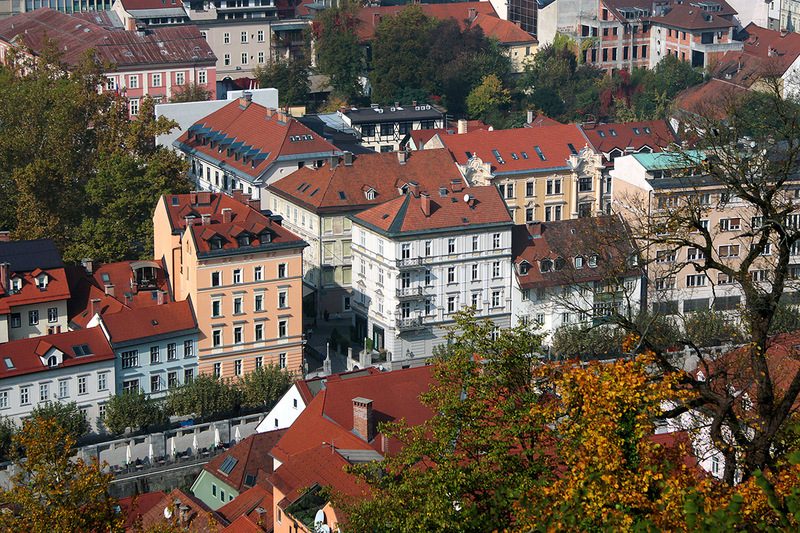 We catch the Ljubljana Castle funicular from Krek Square near the Ljubljana Central Market up to the 15th century Ljubljana Castle. We enjoy views over the old town and walk back down. 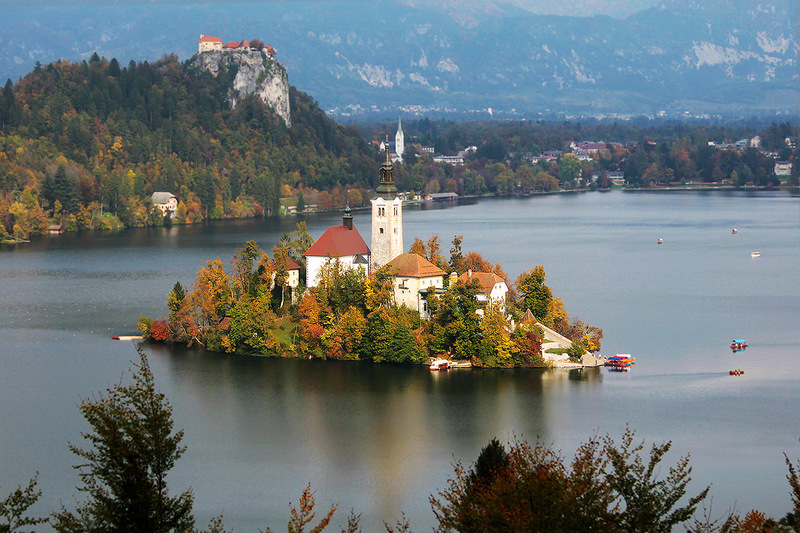 We drive to Lake Bled, find a superbly-located and fairly-priced parking spot, and walk south-west around the lake. 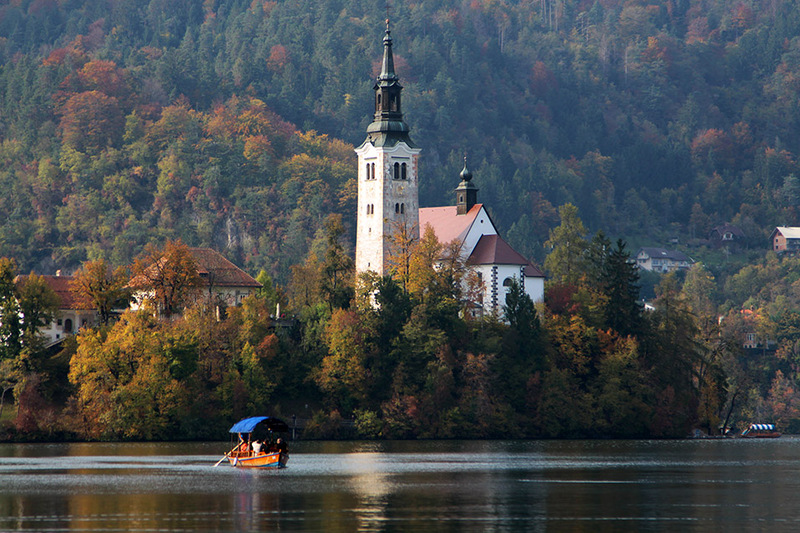 We pass many scenic spots and enjoy beautiful views of Bled Island and its Church of the Assumption. On the west side of the lake, we hike 30 minutes and 685 meters up a narrow, leafy path with some ladder stairs to the iconic Mala Osojnica viewpoint. Our cameras are having fun. For lunch/dinner (lunner?) 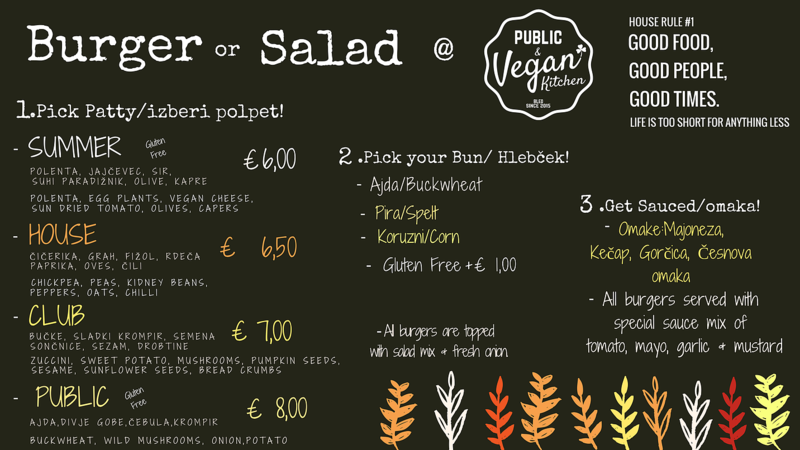 we head to Public & Vegan Kitchen Bled and order the Public vegan burger on a spelt bun, the Club on a buckwheat bun, potato wedges and soup. The burgers are quite good, all things considering. After dinner we walk along the lake and back into the car. We drive north through beautiful country and suddenly enter the Karawanks Tunnel. The tunnel is modern and quite long at 4.98 miles. On the other side of the tunnel we are in Austria. The sun is setting and the mountain and valley scenery is stunning. I wish the sun would stay up because I enjoy watching the fertile rolling hills dotted with alpine dwellings. After an hour or so pull over to touch Austria and get gas at Raststation Feistritz. I surprise Zara with some highly-sought-after Mozart chocolate that the gas station is selling. Zara is very happy. We drive on and eventually enter back into Italy.